This is an interactive guide to help you pay off your mortgage faster. 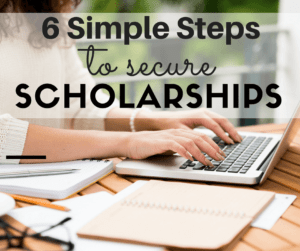 Bookmark or save this article to Pinterest to keep coming back to it. Wouldn’t it be great to pay off your mortgage earlier? Have you ever looked at your mortgage balance and thought to yourself has it even budged? I’ve been paying my mortgage for years and I feel like I haven’t made much of a dent even after having re-financed to a lower rate at one point and finally getting rid of PMI. Now that I’m debt free (with the exception of my home mortgage) my focus is on paying off my mortgage! It’s a huge goal of mine but one that I know is possible. Do you have a goal to pay off your mortgage faster? Getting rid of mortgage debt will not only free up money each month but it saves thousands of dollars in interest. I don’t know about you but I can’t stand paying interest on anything so the thought of paying all that interest each month just kills me. Have you ever actually looked at what the actual cost of your home will be if you just pay the monthly payment due each month for 30 years? It’s scary! So how am I going to pay off my mortgage faster and how can you? I’m going to implement the two following simple steps. 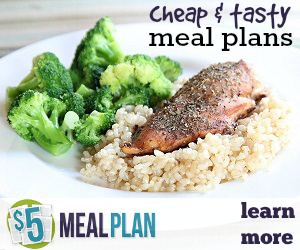 I’ve actually been doing step one since the beginning and its one you can start right away even with no extra money. 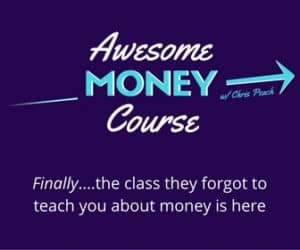 This first step is even great for those that are still paying off debt, saving for retirement and building their emergency funds. I’m going to embed a mortgage calculator into this article so that you can run the numbers on your own mortgage as you read this post. That’s why I’m calling it an interactive guide :). Ok so let’s start with step 1! When you initially set up your mortgage payment repayment plan, you can choose between a standard repayment plan or a bi-weekly repayment plan. If this is not offered you will want to ask for it. You can set this up at any time so just give your mortgage company a call and ask them to set this up. With the standard plan, it would take you the full 30 years (assuming a 30-year mortgage) to repay the loan while a biweekly payment plan will take 25 years and 3 months. This will save you 4 years and 9 months plus a bunch of interest. Let’s take a look at the actual numbers. Let’s say you took out a $250,000.00 mortgage loan with an interest rate of 5.000% and your federal tax rate is 26.000% If you don’t know your tax rate you can check here. With this mortgage amount and rate, you can expect to pay $1,342.05 per month, while a bi-weekly payment plan will call for a payment of $671.03 every other week. As a result, you will pay only $189,734.44 in interest with the bi-weekly schedule rather than $233,139.46 in interest with the standard payment plan. While this will result in a loss of $11,285.31 in tax benefits, you will still save a total of $32,119.72 with the bi-weekly plan! The calculator will give you all of this information! Once you get your results in the calculator you can click the “Switch to Plain English” link and it will explain the results. Calculate your own mortgage! I made it easy for you by embedding the biweekly mortgage pay off calculator into this article below. Go ahead and start punching in your own numbers and see how much you can save with just this one step. I love how this calculator takes into consideration the tax benefits because I have heard many people argue that paying off your home is not good because you lose out on the tax benefit. But as you can see, you’re still saving thousands of dollars. For myself, just not having to pay a mortgage each month is reason enough. Ok, that step was super simple, now let’s go to step 2! You may think you can’t make extra payments but once you see how much you will save you may just find that money to make the extra payments. Even if you’re living paycheck to paycheck finding an extra $20 can save you thousands of dollars over the life of your loan. Let’s take a look at some examples and then you can plug in your own numbers. Paying just $20 extra a month on your mortgage………. 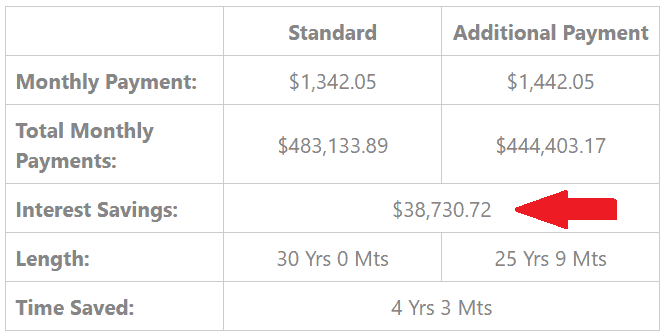 In this example, if you take out a 30-year loan for $250,000.00 with a 5.000% interest rate, your monthly payment (interest and principal only) will be $1,342.05. By the time the 30 year time period is complete, you will have paid $483,133.89 for your home (yikes). If you pay just $20.00 more each month, you will have paid $474,070.24 for your home. This is an interest savings of $9,063.65. If you pay just $50.00 more each month, you will have paid $461,835.60 for your home. This is a savings of $21,298.29. In addition, you will get the loan paid off 2 Years and 4 Months sooner than if you paid only your regular monthly payment. Pay an extra $100 each month……………….. If you take out a 30-year loan for $250,000.00 with a 5.000% interest rate, for example, your monthly payment (interest and principal only) will be $1,342.05. By the time the 30 year time period is complete, you will have paid $483,133.89 for your home. If you pay $100.00 more each month, you will end up paying $444,403.17 for your home. This is a savings of $38,730.72. In addition, you will get the loan paid off 4 Years 3 Months sooner than if you paid only your regular monthly payment. Play with the numbers yourself, below is the calculator just input your numbers and see how much you can save! By now you get the point right? The more you pay each month the more you save because those extra payments are going towards principal. You just want to make sure they are applied toward the principal and that your loan has no pre-penalty fees. You can just give your bank a call and ask. Now if you’re able to go into your mortgage with a 15-year loan that would be the best option but if you’re already in a mortgage and you’re not able to refinance to a lower rate with low closing costs then these 2 simple steps will help you pay off your mortgage faster. So now that you see how much you save and how you can pay off your mortgage faster, what do you think? 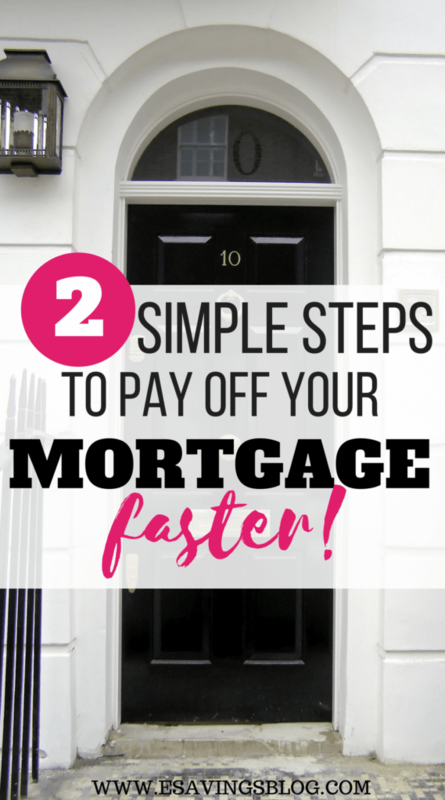 Are you going to implement these steps to get that mortgage paid off early? If you found this article helpful please share it! Also, save it to Pinterest to refer to later! ****Every individual’s circumstance is different so please consult with a professional if you need to, these are just some tips to help you save. 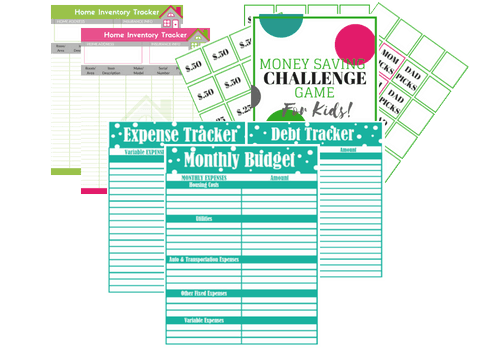 And helpful budgeting and money tips via email! All for Free!